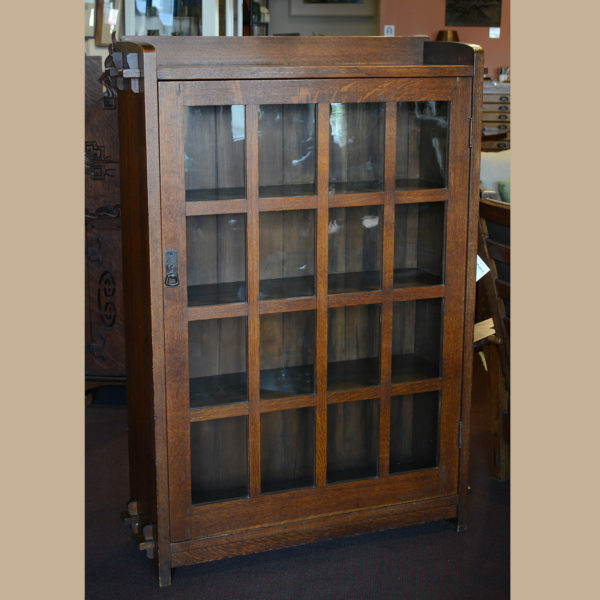 L&JG Stickley Handcraft bookcase in very nice original finish and condition. Purchased from descendants of the original owner. 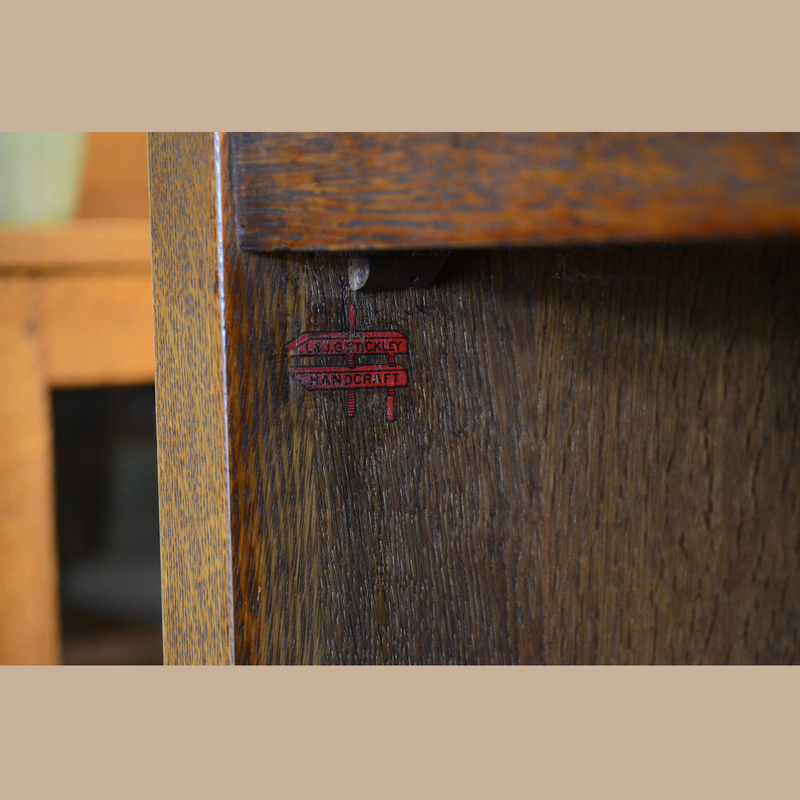 The Handcraft decal is located on the inside left of the top shelf. 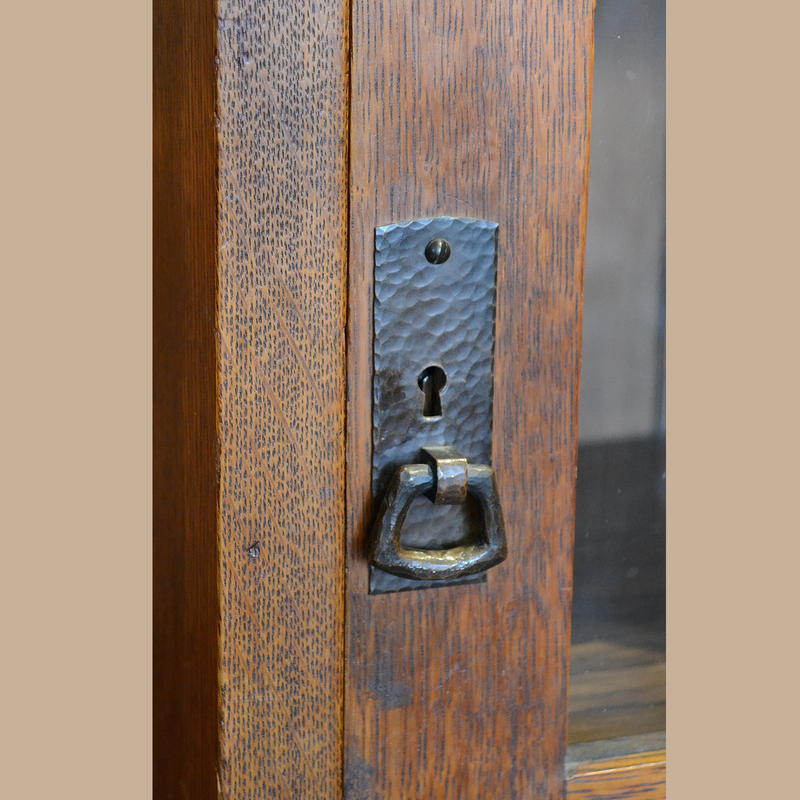 The Handcraft period (1906-1912) and the Onondaga Shops period (1906-1912) of L&JG Stickley produced some of their best products. 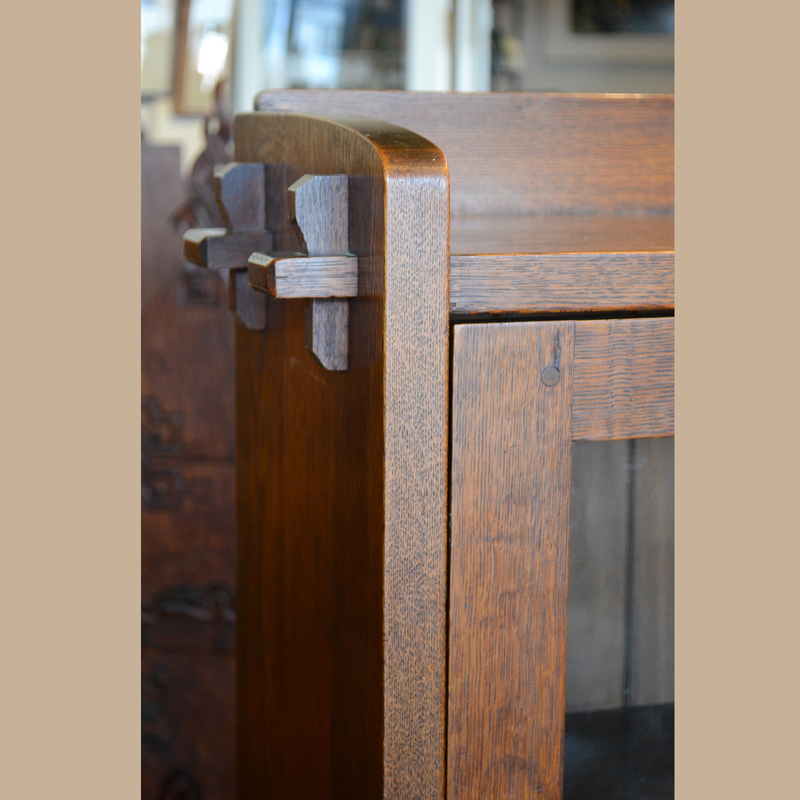 The sides of the case are constructed from 1 3/16″ thick White Oak which is the same as most of Gustav Stickley’s mitered mullion bookcases. The wood is positioned to get the ray flake on the front of the case. 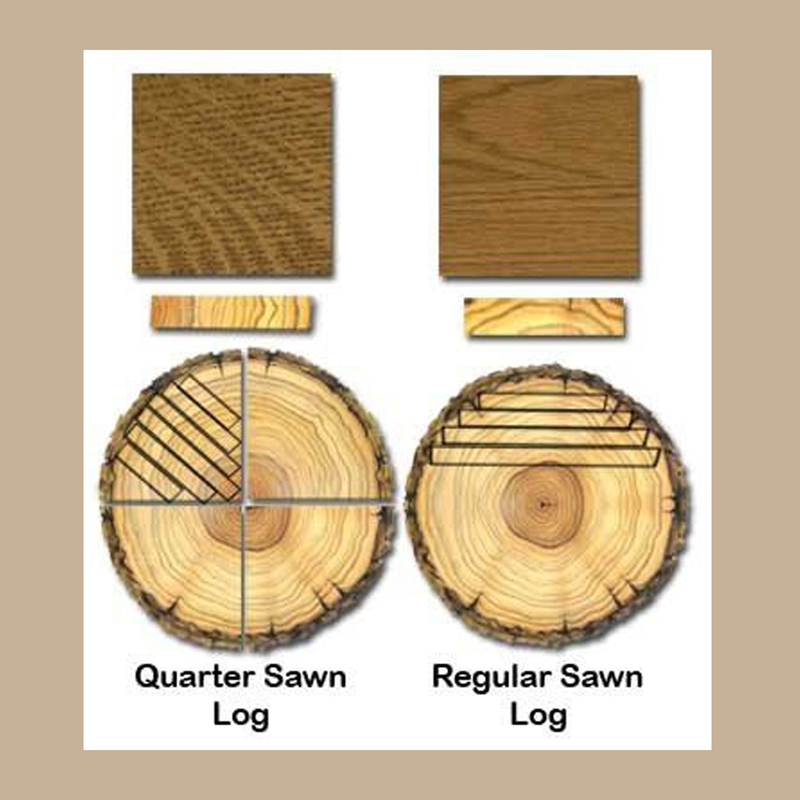 I have included an image of how the logs are cut. 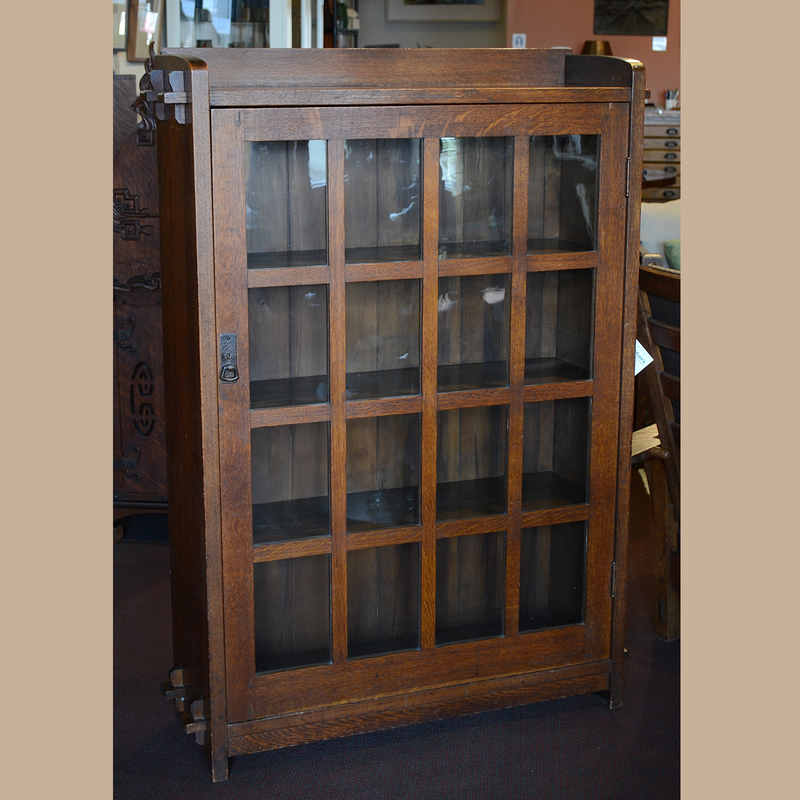 This piece measures 55″ tall x 39 1/4″ wide x 12″ deep.